Mo's summer is looking good. the mystery of their lives. Good thing Mo's always been lucky. 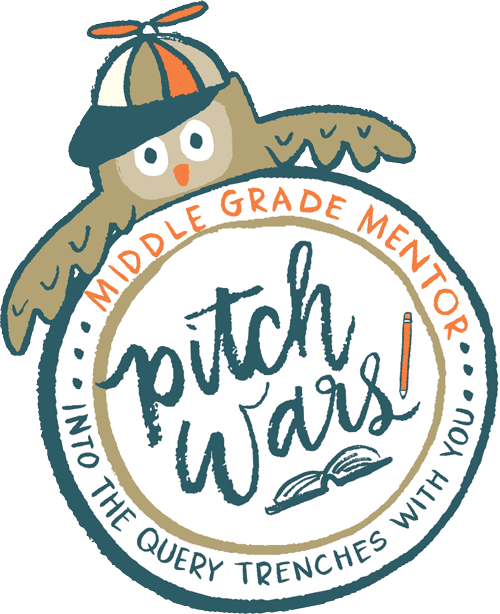 Moses LoBeau is a rising sixth grader with a very interesting past and an even more interesting present. As a baby, she washed ashore in Tupelo Landing, North Carolina, during a hurricane. Now she spends her time working at the cafe owned by her self-appointed adoptive parents, hanging out with her best friend Dave, and plotting against her sworn enemy, Anna Celeste--all while continuing her message-in-a-bottle search for her Upstream Mother. When the cafe's crankiest customer turns up dead and a city detective rolls into town, Mo's summer takes a turn for the exciting. Soon she and Dave are out to solve a mystery of epic proportions as the case suddenly puts everyone they love in danger. A short and sweet summary of this book: Utterly delightful. I loved all of it...the colorful setting, the humorous dialogue, the intriguing murder-mystery...everything about it was just SO good. I positively gushed over it at my last writers group meeting--and I was only a few pages in. Eclectic and charming, devious and dastardly, the characters in this book are a cast like no other. This type of writing is exactly what I aspire to as an author. I giggled my way through the first chapter and continued to laugh out loud until the very last, heartwarming page. 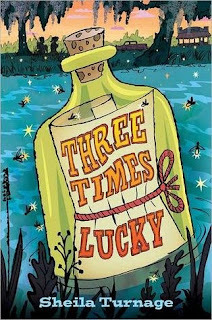 Cover to cover, Three Times Lucky is an incredibly fun read which has landed high on my list of favorite middle-grade novels.